[Haikou, China – 4 June 2018] Chen Gu-Xin fired a final-round 69 to claim the 2018 Jack Nicklaus Junior Championship at Mission Hills Haikou in Hainan, China. It was Chen's second victory at Mission Hills in recent months, the 14-year-old having hit the headlines by winning his national China Amateur Open at Mission Hills Dongguan last November. 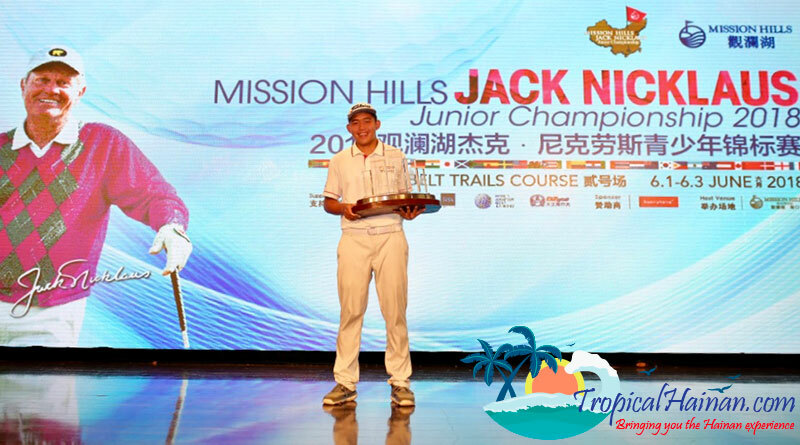 Chen, who lives on the tropical island of Hainan, made the most of home advantage in the 11th edition of the Jack Nicklaus event to top an international leaderboard and earn an invitation to compete in the Nicklaus Junior Championship in the USA this summer. 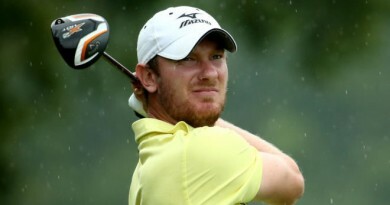 The rising Chinese star follows in the footsteps of compatriots Guan Tianlang and Jin Cheng, both past winners of the Mission Hills Jack Nicklaus Junior Championship before going on to win the Asia-Pacific Amateur Championship and play in The Masters. Chen's brilliant three under 69 followed two level-par 72s to finish on 213, one ahead of Chinese Taipei's Chou Yi-Ting who claimed the girls' title. 17-year-old Chou also qualifies for the Nicklaus Junior Championship in Palm Beach County, Florida. Following three rounds on the Sandbelt Trails Course at Mission Hills Haikou, other qualifiers for the prestigious Florida event included third-placed Pan Jun-Jie from China on 217 – taking the total of mainland Chinese qualifiers to six – plus players from Hong Kong (Iris Wang Xin-Yi and Sophie Han), India (Bhuvas Nagpal), Macau (Ning Wang) and Thailand (Phusana Phutachanatib, Panchalika Arphamongkol, Pemika Arphamongkol, Pakorn Wongpen and Pimpakorn Panyadilok). Golfers from Pakistan and the USA were also in action in the R&A and China Golf Association ranked event, part of the Mission Hills Junior Golf Programme which stages more than 30 tournaments and events each year and has been helping to grow the sport in China for more than two decades. "I am incredibly proud that our China event is now entering its second decade and is more popular than ever," said Jack Nicklaus, golf history's greatest champion with 18 majors and also considered one of the game's most acclaimed designers with more than 300 courses worldwide. "I have enjoyed a wonderful relationship with Mission Hills and the Chu family dating back to 1992 when I started designing my golf course at Mission Hills in Shenzhen." Tenniel Chu, Group Vice-Chairman of Mission Hills commented: "We are very proud to be working with Jack Nicklaus and taking his junior championship into its eleventh year. Mr. Nicklaus has been a rich part of the Mission Hills story as both a course designer and a junior golf ambassador and his tournament has played a strong part in the development of Chinese golf." Founded in 1992, Mission Hills is recognized as one of the world's leading golf brands and a pioneer in China's hospitality, sports and leisure industry. 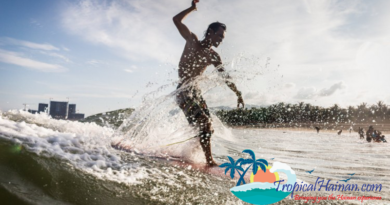 The world-class integrated leisure and wellness resort destinations have hosted more than 100 international tournaments, dating back to the World Cup of Golf in 1995, the first international golf tournament in China. Mission Hills has also been accredited by the Guinness World Records as the "World's Largest Golf Club" and the "World's Largest Mineral Springs and Spa Resort". Mission Hills' properties sprawl over 40 square kilometres. 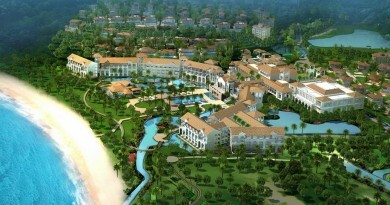 They include 22 championship courses designed by renowned players and architects from five continents, five-star resorts, award-winning spas and volcanic mineral springs, international convention centres, state-of-the-art golf academies, a 20-pitch football training base, Asia's largest basketball school and Asia's biggest tennis facility. Mission Hills is also the official training headquarters for China's Tennis, Football and Golf Associations. The Group's 'golf and more' leisure philosophy has seen its tourism-related business expand into a leisure hub for multi-generational families. Mission Hills Centreville in Shenzhen and Haikou provides integrated shopping, recreational, business, education, entertainment, leisure and cultural experiences, including Bromsgrove School Mission Hills in Shenzhen in collaboration with the historic British boarding school. Mission Hills has also extended its foray into the hospitality industry by partnering with world-renowned hotel brands such as Hard Rock, Renaissance and Ritz-Carlton. These collaborations have seen the opening of Ritz-Carlton's first golf resort hotel in China and China's first Hard Rock Hotel in Shenzhen. Other significant projects include Movie Town in Haikou in partnership with China's largest film production company, Huayi Brothers Media Corporation and award-winning director, Feng Xiaogang and China's first Wet'n'Wild water park in collaboration with Australia's leading entertainment group and largest theme park operator, Village Roadshow Limited. Mission Hills has also announced ground-breaking partnerships with FC Barcelona and the NBA to bring the world's most famous football club and the world's largest professional basketball league to its Haikou resort, making Hainan island a leading hub for football and basketball development in China.